Kaziranga National Park is located in the North – Eastern state of Assam. 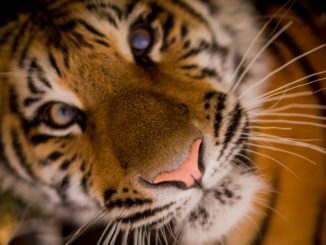 It is testimony to India’s conviction and sincere efforts in saving endangered species. The one-horned rhinoceros, which is listed as ‘Vulnerable’ in IUCN Red List, is recovering from the threat to its existence through conservation efforts at Kaziranga National Park. It is home to two-third population of great one-horned rhinoceros in the world. UNESCO recognised the Kaziranga National Park as a World Heritage Site in 1985. 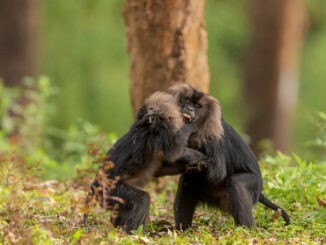 The Park sits at an edge of the Eastern Himalayan biodiversity hotspot. It is one of the many reasons for presence of diverse wildlife species here. 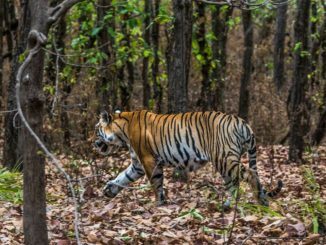 The lush green cover and undisturbed natural habitat gives them the space to roam around freely, which also means that visibility of these species is very high in the park. Kaziranga National Park is situated between the latitudes of 26°30′ N and 26°45′ N, and longitudes 93°08′ E to 93°36′ E. The Park stretches over two districts of Assam, namely Golaghat and Nagaon in a sprawling area of 378 sq. kms. An additional 429 sq. kms have been added alongside the present boundary of the Park. 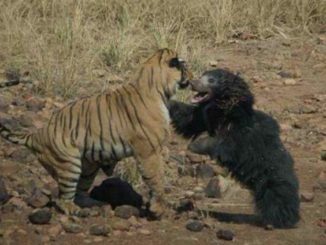 The Park sees three seasons and each brings out very different conditions in the Kaziranga – summer, monsoon and winter. Summers here are very hot. The average temperature reaches 37 degree Celsius and animals are seen herding around water bodies. Winters are mild and dry. Smaller water channels dry up very quickly in this season. The monsoons are most dramatic. Almost 60-70% of Kaziranga is flooded during the monsoon. 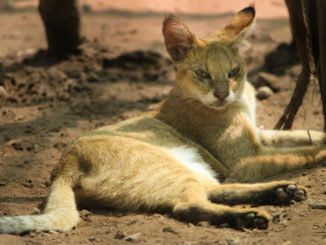 All animals are forced to move towards the elevated regions outside southern borders of the Park. Kaziranga soils are rich in alluvial contents, making them most suitable for growth of rich vegetation and agriculture. Owing to this, limited agriculture has been allowed at the outskirts of the park. The alluvial nature is a result of the park’s geographical location. It is part of the Brahmaputra flood plains which means the Park gets almost submerged under high water level every year. These water waves bring with them erosion and silt deposition of the Brahmaputra. Needless to say, the floods affect wildlife too. However, the damage is minimized through concentrated and speedy efforts of the Park officials. The history of Kaziranga National Park began taking form and shape in 1904 when Mary Curzon, wife of then Viceroy of India – Lord Curzon, visited the area. The visit was part of her excursion to the North East India. The popularity of the zone for its one-horned rhinoceros drew Mary Curzon to itself. However, she could not spot a single rhinoceros on her visit. This troubled her quite much. Upon return she convinced her husband to initiate protection measures for the famed species, which he agreed to. As a result came into existence the Kaziranga Proposed Reserve Forest on 1 June 1905. Then it had an area of 232 sq. kms. The Park was extended by 152 sq. kms and touched the banks of Brahmputra in the next three years. Its name went through multiple changes in the subsequent years. It became a ‘Reserve Forest’ in 1908. Thereafter it became the ‘Kaziranga Game Sanctuary’ in 1916. This new name carried with it certain connotations that associated it with trophy hunting and hunting for sports. This wasn’t good for the future of the Park. 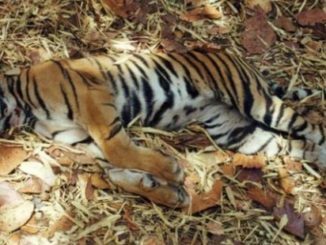 Thankfully, P. D. Stracey – the forest conservationist, noticed this grave concern and the name was changed one again to ‘Kaziranga Wildlife Sanctuary’. This was the year 1950. 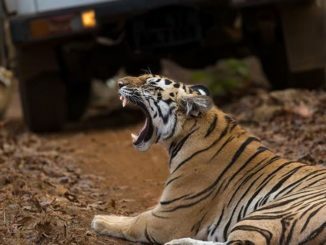 It marked an important transition in the development of Kaziranga National Park although hunting had been officially prohibited way back in 1938. 18 years after the ‘Kaziranga Game Sanctuary’ became ‘Kaziranga Wildlife Sanctuary’, the State Government of Assam passed the Assam National Park Act of 1968 which officially designated Kaziranga a National Park. The Central Govt. formally recognised it on 11 February 1974. The park was 430 sq. kms of natural treasury then. 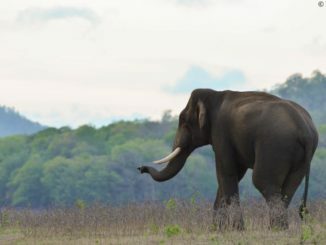 Mammals: Kaziranga is home ground for a large breeding population of 35 mammalian species, 15 of which are ‘threatened’ as per the IUCN Red List. It has the world’s largest population of Great one-horned rhinoceros, wild Asiatic water buffalo and eastern swamp deer. The official count stands at 2413, 1666 and 468 respectively. 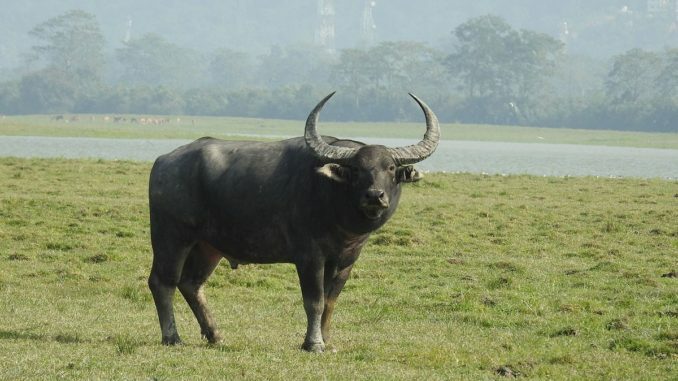 The wild water buffalo population accounts for 57% of the total world population. 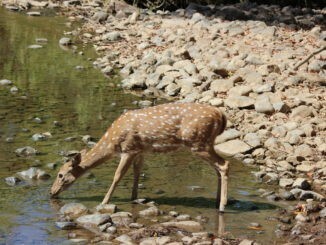 You will also find Indian muntjac, hog deer, gaur, sambar fishing cat, Bengal fox, golden jackals etc. 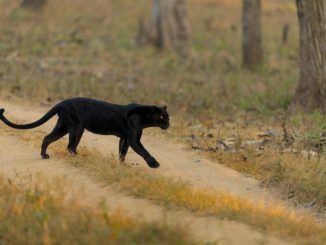 Kaziranga is also a natural breeding ground for species of large cats such as Bengal Tigers and Leopards. 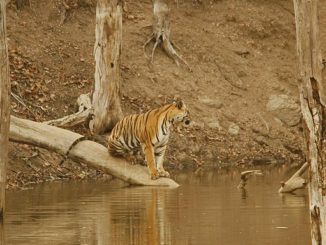 It was declared a Tiger Reserve in 2006 and boasts the highest density of tigers in the world. 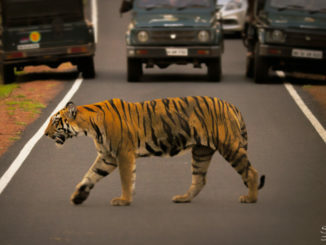 Kaziranga has a tiger per five sq. kms. Avifauna: Birdlife International identifies Kaziranga as an ‘Important Bird Area’. You can find multitudes of migratory birds, water birds, vultures and scavengers here. It is no less than a dream destination for bird enthusiasts and photographers. Great Indian Hornbill, Asian openbill stork, Black bellied turn, Fish eagle, Pale capped pigeon, Indian vulture are some well known residents here. Reptiles: Kaziranga has a large snake population glistening and gliding under its vegetation covers. Reticulated Python and Rock Python, the two largest snakes in the world, are found here. You might also meet the venomous King Cobra. Other snake varieties are Russell’s Viper, Common Krait, Bengal Monitor, and Asian Water Monitor. 15 species of turtles and a tortoise variety, the brown tortoise, also live here. Vegetation: Kaziranga National Park is covered in forests of alluvial inundated grasslands, alluvial savanna woodlands, tropical moist mixed deciduous and tropical semi evergreen types. Since there is much difference in altitude of eastern and western sides, the vegetation cover differs accordingly. The western horizons are covered in grasslands while the eastern side is dominated by woodlands. Rich growth of aquatic flora is also seen near lakes, ponds and on river banks. A safari experience in Kaziranga is inevitable for anyone and everyone that steps in the Park. Once you have visited Kaziranga and been on a Safari, you will want to come back over and again because the beauty here is bewitching. At Kaziranga, you can avail Jeep and Elephant Safaris. The Jeep Safari is available from 1st Novemberto 30th April. The availability is subject to road conditions and the weather in months of October and May. These are two months when heavy downpour arrives un-announced. The morning session extends from 7.00 AM to 9.30 AM. The afternoon safari is available during 1.30 PM to 3.30 PM. The Elephant Safari rides are also available 1st November onwards until 30th April. The ride is conducted both in early morning and afternoon sessions. The morning session runs 5.30 AM onwards until 7.30. The afternoon session begins at 3.00 and ends at 4.00 o’ clock. By Air: Guwahati and Jorhat are the nearest airports from Kaziranga. Guwahati is 217 KMs away while the Jorhat airport is 97 kms from the Park. By Rail: The nearest railhead is in Furkating, 75 kms away from the Park. By Road: The main gate to reach Kaziranga is at Kohara that lies on NH-37. The place has its own small market place and a few decent cafes. You will easily find buses for KOhara from Guwahati, Tezpur and other upper areas in Assam.